1. Double-click the downloaded installation file. 3. 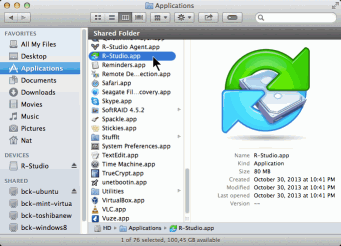 Go to Applications in Finder and double-click R-Studio.app to start the program. When you start R-Studio for the first time on macOS High Sierra and higher, a System Extension Blocked warning message will appear. 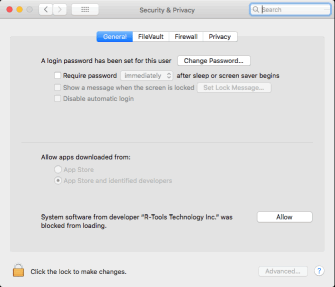 If you need access to your system disk, click the Open Security Preferences button on any of the messages, go to the Security and Privacy preferences, and click the Allow button. 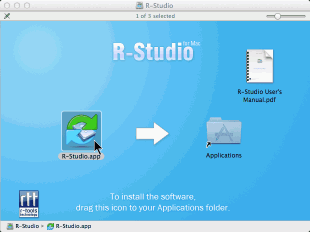 R-Studio will start with full access to your system disk. You need to follow this procedure only once, next time R-Studio start without this message. 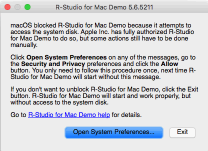 If you don't want to unblock R-Studio, click the Exit button on the R-Studio's message. R-Studio will start and work properly, but without access to the system disk and when you start R-Studio next time, its message will appear again. You will be able to unblock the program if needed. 1. 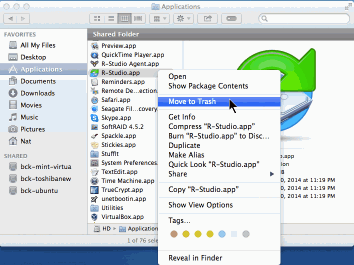 Go to Applications in Finder, control-click R-Studio.app, and select Move to Trash. 1. Upon receiving the email with the Registration key, open the attachment, then select and copy the key. 2. 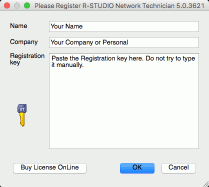 Click the R-Studio menu, select About R-Studio, then select Register. 3. Enter your registration information and then paste the Registration key. Do not try to type it manually.